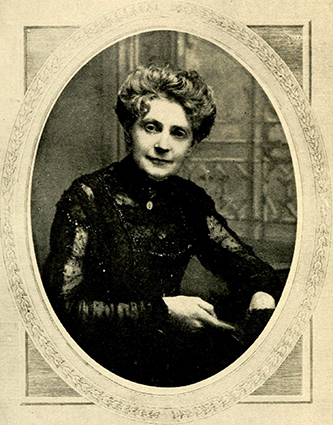 In the years following the Civil War, Christian Reid, the pen name of Frances Christine Fisher (1846-1920), was one of the most popular and financially successful American writers of light romances. Born in Salisbury, Frances began inventing lengthy tales at the age of three. She turned to writing for her livelihood after her family was left penniless in the aftermath of the Civil War. She published forty-six books, mostly novels, the first of which, Valerie Aylmer, appeared in 1870 when she was only twenty-three. The Land of the Sky (1876) is perhaps the book most associated with Reid, the title giving the western part of the state a nickname that endures to this day. In 1887 she married James M. Tiernan, a widower who owned silver mines in Mexico, and traveled widely with her husband, later setting novels in the West Indies, Mexico, New York, and Europe. After James died, Frances remained in Salisbury, writing almost up until her own death. Download a free e-book or purchase from Amazon.com.